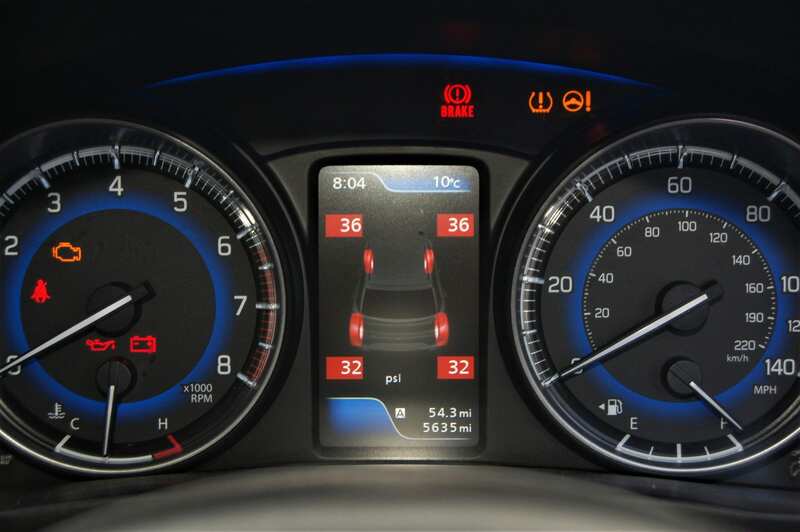 Home » Cars » Comments » Featured Articles » Travel » TPMS – Nightmare, or essential safety item? 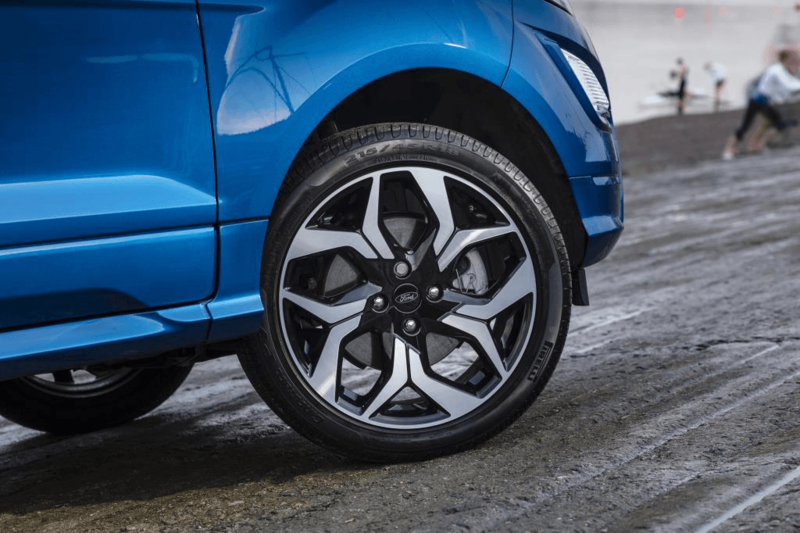 Tyre Pressure Monitoring Systems (TPMS) have come a long way since Renault first installed them on its Scenic model at the turn of the Millennium, writes Iain Robertson, and they are now standard fit on ALL new cars…but they do present some concerns. A lot of the so-called ‘safety devices’ fitted to new cars not only add to their overall costs but also introduce more expensive maintenance issues, even though they will not add to its overall worth. Having said that, while some of them can promote ‘laziness’…well, greater laziness…in the modern motorist, they do possess primary safety value. There is no denying a fact that monitoring a vehicle’s tyre pressures, when most motorists seldom look at the medium that provides a cushioned ride quality, can mean that a ‘blowout’ can be dealt with more safely. 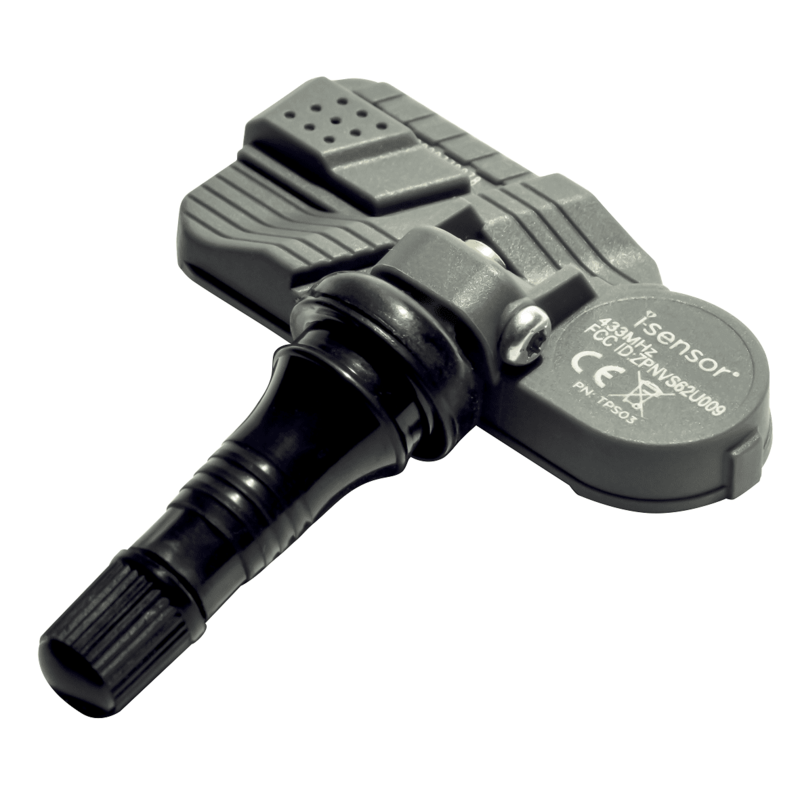 Issues related to TPMS are not many but they can be problematic, not least when swapping tyres, or rebalancing their readouts. All too often, when an indicated fault occurs, it demands a drive to a main dealership to resolve it, where you will be forced to pay main dealer hourly rates. While it may be true problem, caused by a slow puncture, or (worse) pothole damage to a wheelrim, it is often no more than a resetting exercise that needs to be carried out. However, the in-dash warning may be for a battery replacement, which could become expensive and would be an MOT failure, if the lamp is not extinguished. Thanks to one company, Autogem, a broader and less costly range of service kits that cater for more than 98% of the new car scene is ensuring that more and more mechanics are able to keep calm under pressure. Widely regarded as the market specialist in TPMS, Autogem’s knowledge, product quality and overall coverage has positioned it as an industry leader. Fortunately, it also offers bespoke training to fast-fit networks and independent garages. A new-and-improved NTDA-certified e-learning course is one means of simplifying its service provision to garages and tyre retailers. 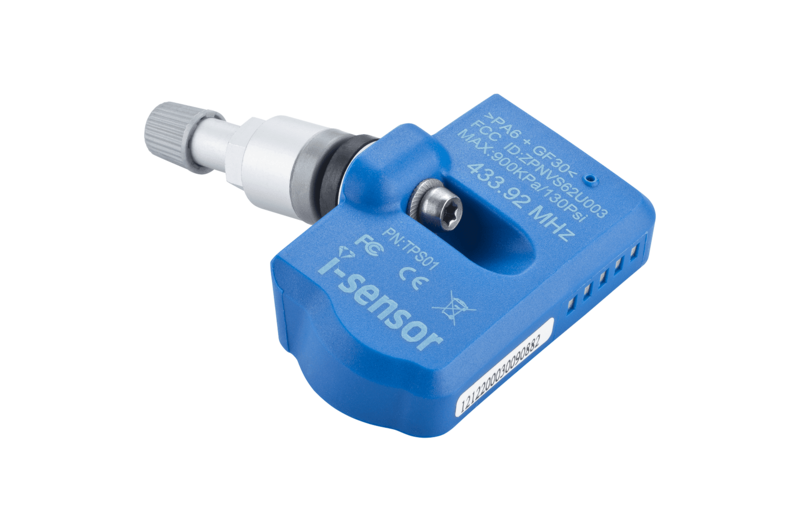 However, Autogem also manufactures a handheld ‘i-sensor device’ that is the fastest selling universal TPMS service item in the UK, which boasts patented programming technology, allied to an intelligent design that covers all workshop eventualities, when carrying out individual wheel inspections. Autogem recognised that a gap existed in the market and has taken a generous approach to it by offering replacement sensors at a considerable saving over main dealer prices, which could be around £250 per wheel. The sensors are costly. 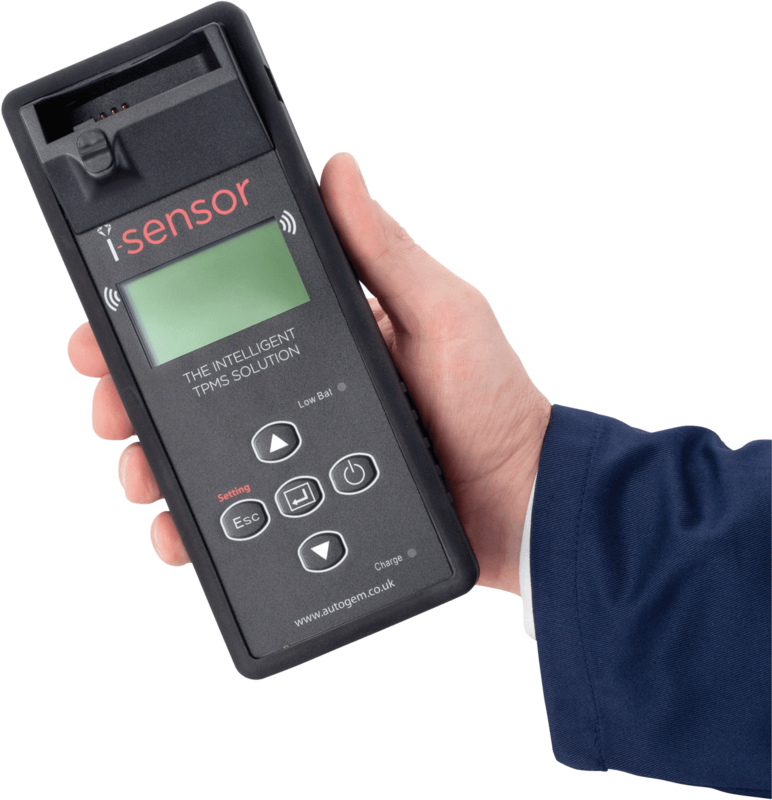 The intuitive i-sensor interface enables users to diagnose existing sensor issues, which provides immediate peace of mind to the customer. It then allows the user to duplicate sensors electronically, or manually. Or, it can create a brand new, unique sensor, all in a matter of seconds, all saving the end-user a lot of money. Having worked with most of the largest and most respected tyre retailers in the UK has given Autogem a wealth of experience from which to draw. Therefore, the next time you are confronted by the frightening prospect of having to replace a TPMS in-wheel sensor, while battery life cannot be extended beyond its present seven to eight years, at least a more cost-effective response has been created by Autogem. In avoiding main dealer ‘rip-offs’, we can all be slightly more grateful. Conclusion: The days of heady fees to resolve TPMS maladies are almost over. These essential safety items can be serviced more globally and economically, which provides greater peace of mind to a previously concerned end-user.